This Fedora Hat is this Summers hottest essential item! 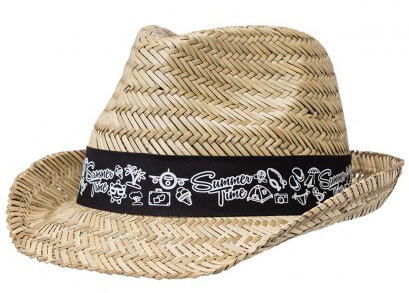 Newly launched, this Fedora straw hat is this summers hottest new essential item. The lightweight, styligh hat is made from natural straw. The classic fedora shape makes it perfect for a range of applications for men, women and kids. Plus the bands come in 12 different colours so matching it to your corporate colours has never been easier!